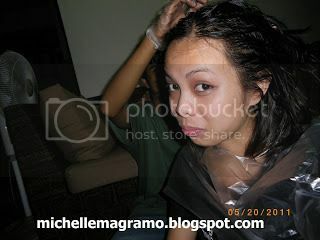 When I saw this blog entry from Ms. Say Artillero, I promised myself that I will try this. Last May 20, my boyfriend and I went to SM Megamall just to visit Etude House. 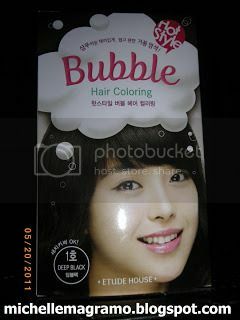 I was surprised to see that only on shade of the bubble hair color is left and that is Deep Black. I don't want to dye my hair black again but still, I bought one box just for that sake of trying it. 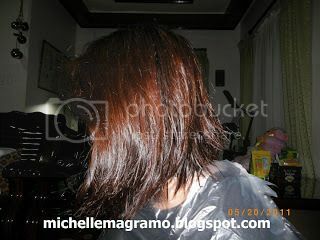 Here's a photo of my hair before applying the hair color; I have a reddish brown hair. My boyfriend is so kind and helped me with the application. After applying the bubbles, we waited for 30 minutes then I rinsed it. 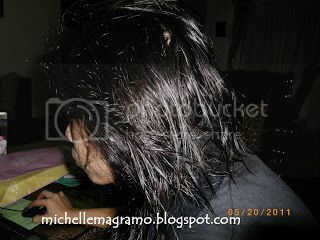 Here's a photo of my hair after the hair coloring. Super black! - Good for 2 persons. I used only half of it. 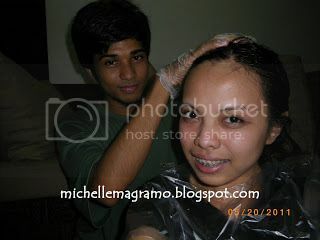 - No irritation felt on my sensitive scalp. - Mine faded after a month. Now I have a dark brown hair. HI u dye ur hair black. panu nyo e dye ulit ng natural brown ? 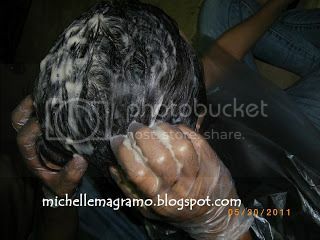 e bleach nyo po ba?